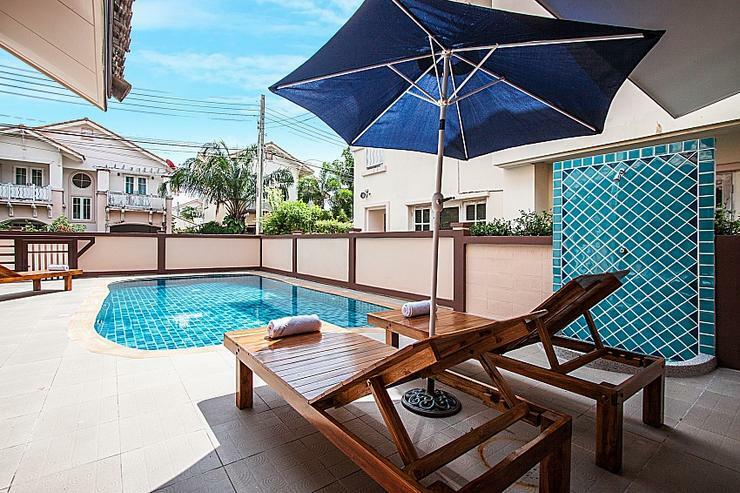 It will take you only a 5 minute walk to Jomtien Beach, where you can find not only a beautiful sandy area but plenty of shops and restaurants. 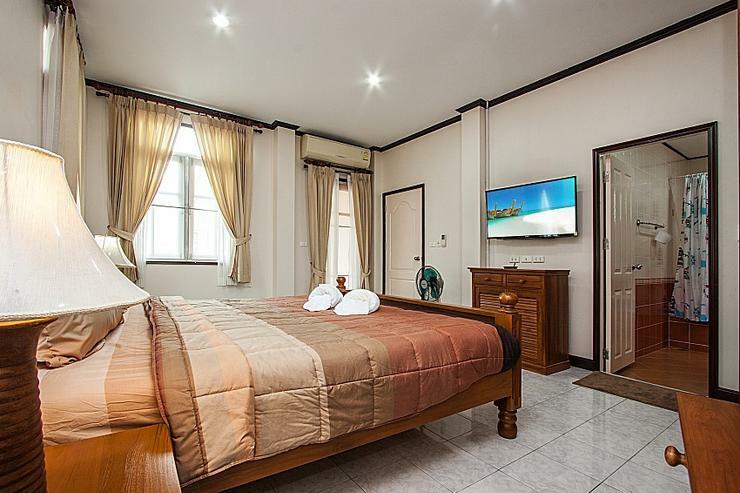 If you are looking for a fun night, there is a good number of pubs and bars down the beachfront. 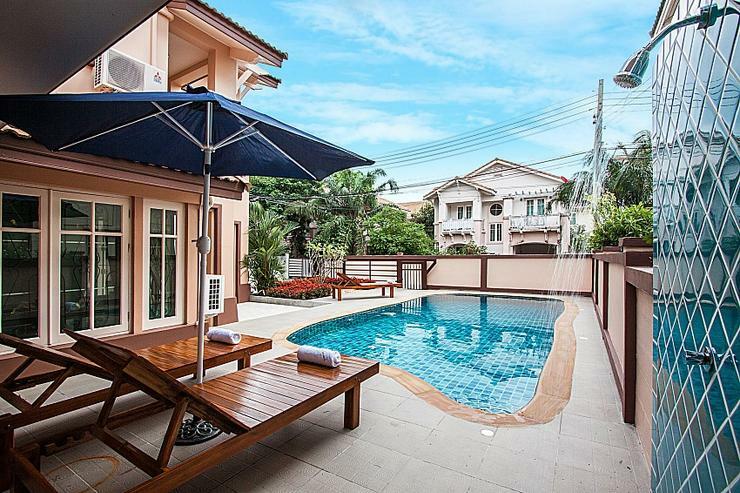 The main city of Pattaya is only 10 till 15 minutes away by car, depending on traffic, where you can enjoy a shopping spree in the malls such as in Central Festival Pattaya. 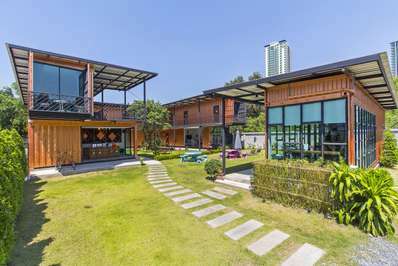 Or take a stroll along the word famous Pattaya Walking Street. 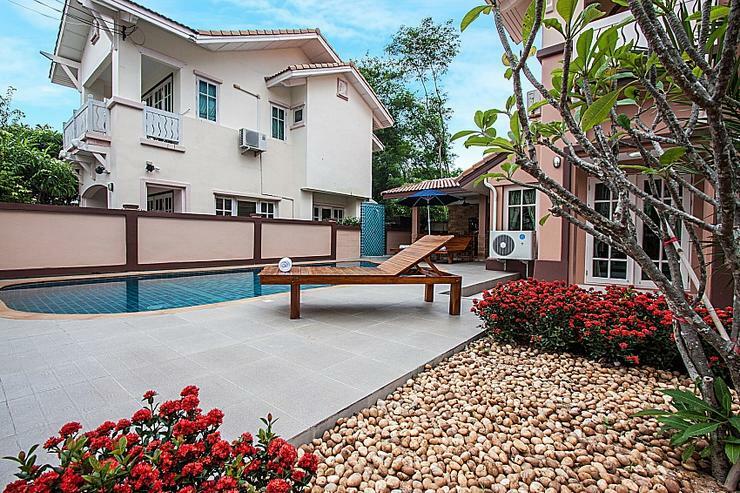 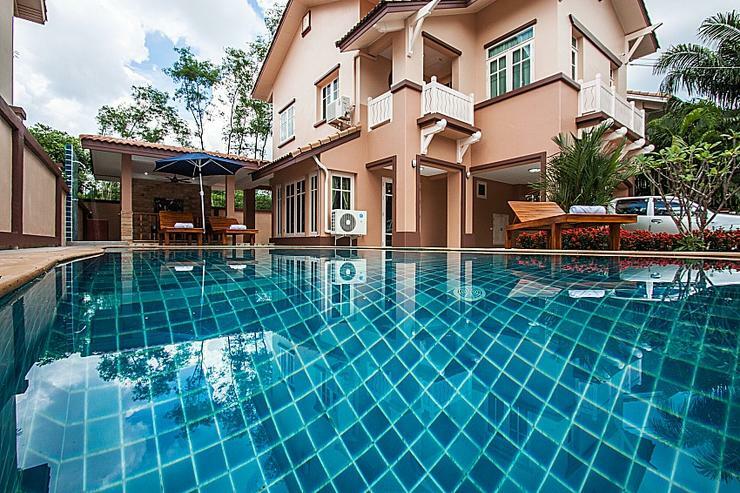 Situated in a prime holiday location on Jomtien Second Road, this 3-bedroom villa sits in a gated development with 24-hour security, just a 5-minute walk to Jomtien Beach, while enjoying seclusion and privacy in the corner of the estate. 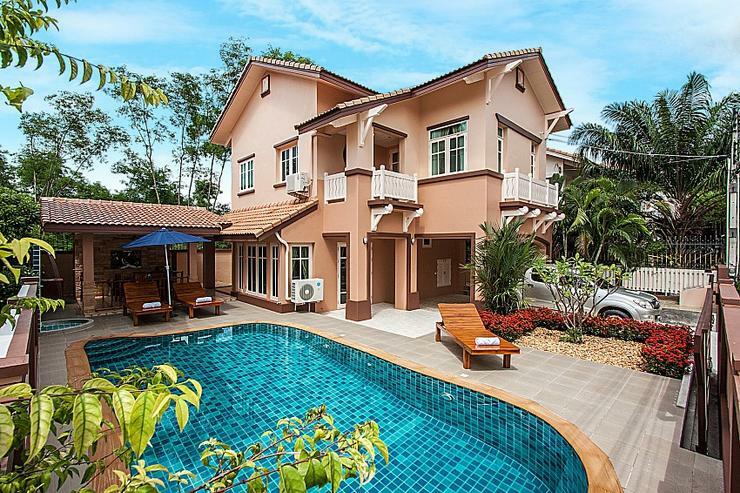 The property is set over 2-levels and has a modern design, coming with a large private swimming pool on a terrace with sunbeds and a Thai dining sala with a table and chairs and a BBQ unit. 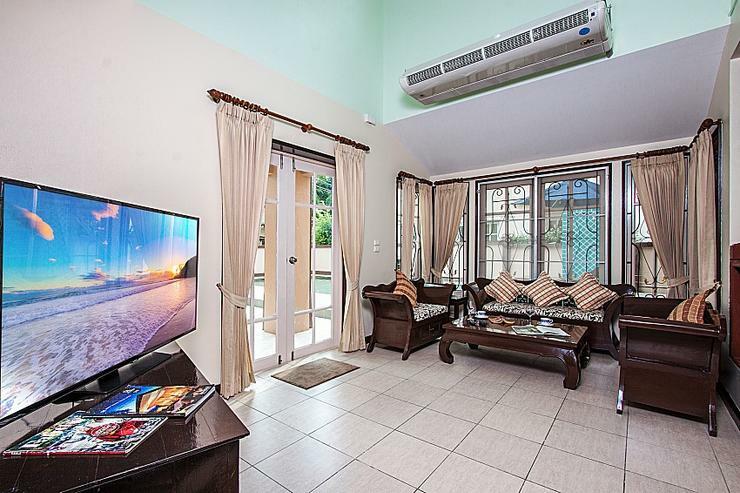 The lounge area is on the ground floor and has a stylish 3-piece-sofa-suite, within close proximity to a large flat-screen TV with international channels. 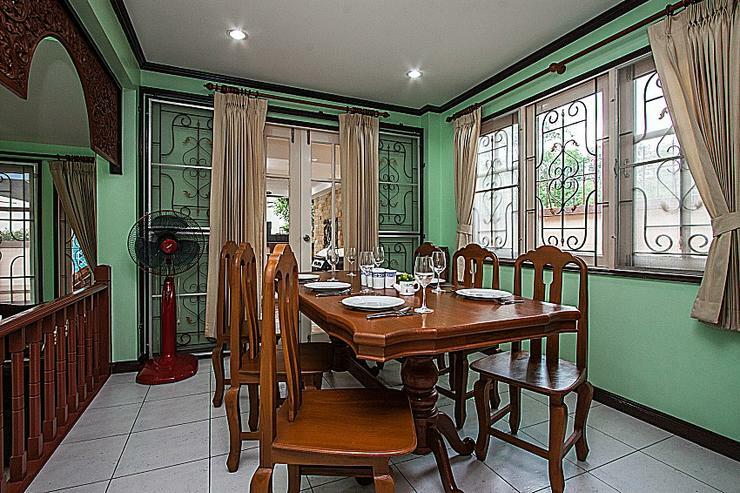 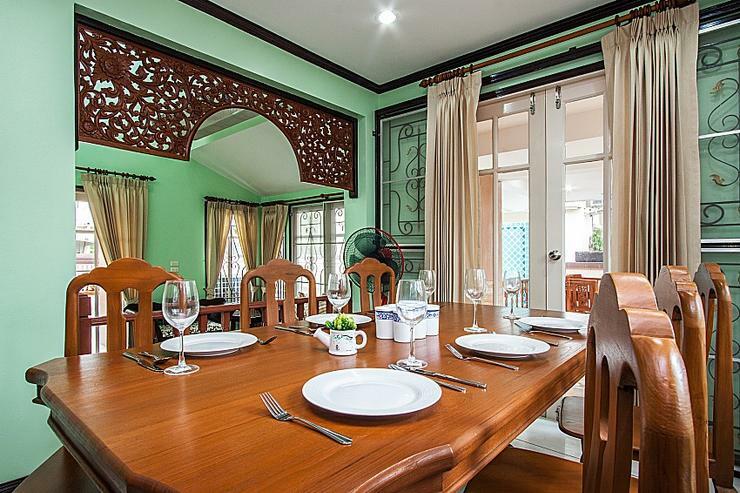 The dining area is situated at a raised level to the lounge, coming with a 6-seat wooden dining table, close to a kitchen with a breakfast bar and lots of modern appliances. 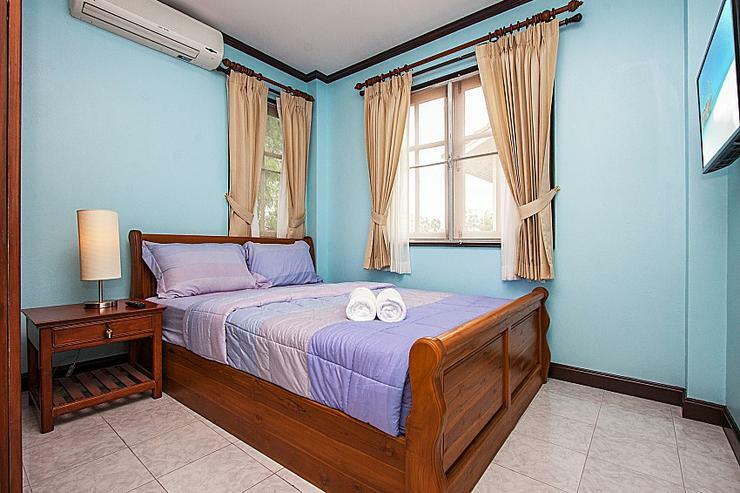 The 3 bedrooms are all located upstairs, sleeping 6 people, all equipped with air-conditioning, dressing tables and wardrobes. 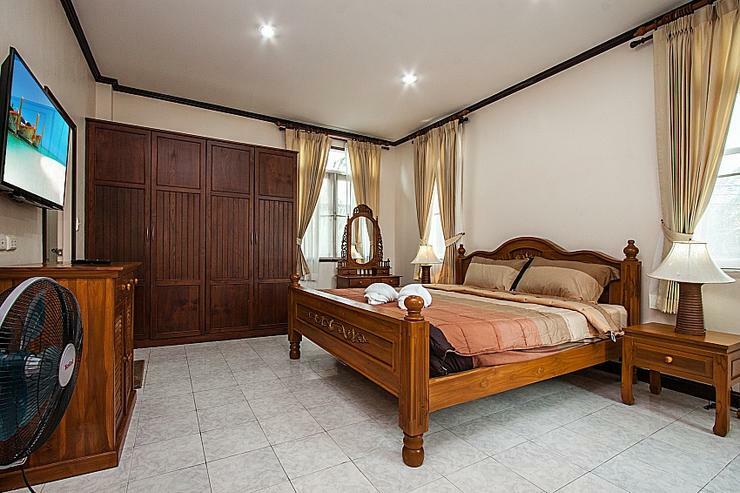 Two of the bedrooms have double beds, while the 3rd has 2x single beds. 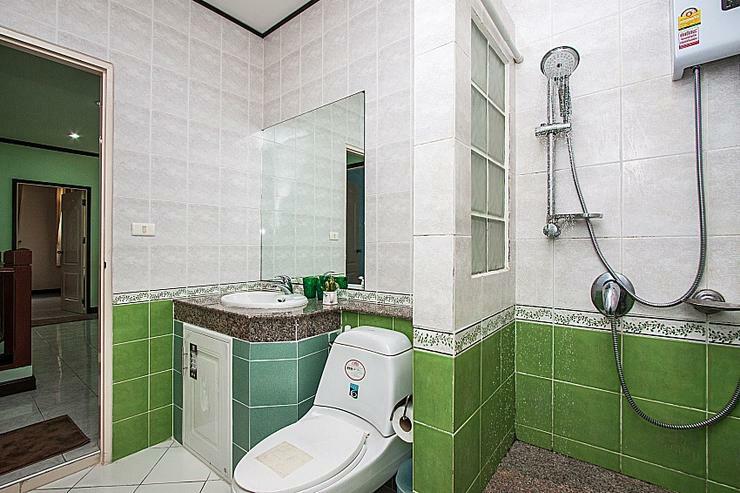 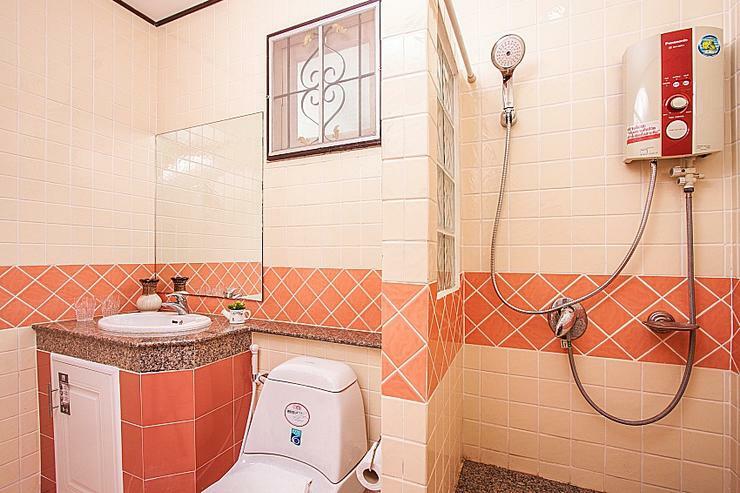 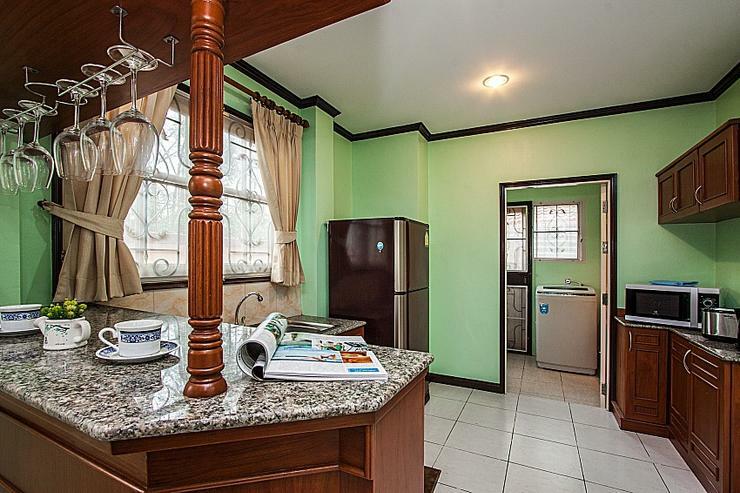 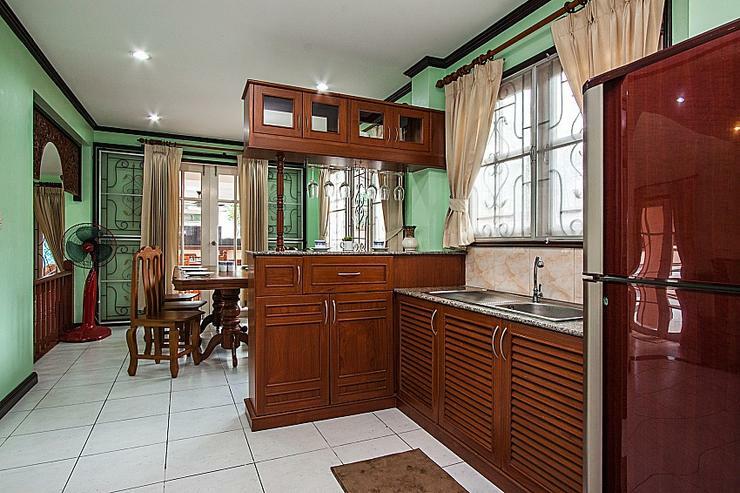 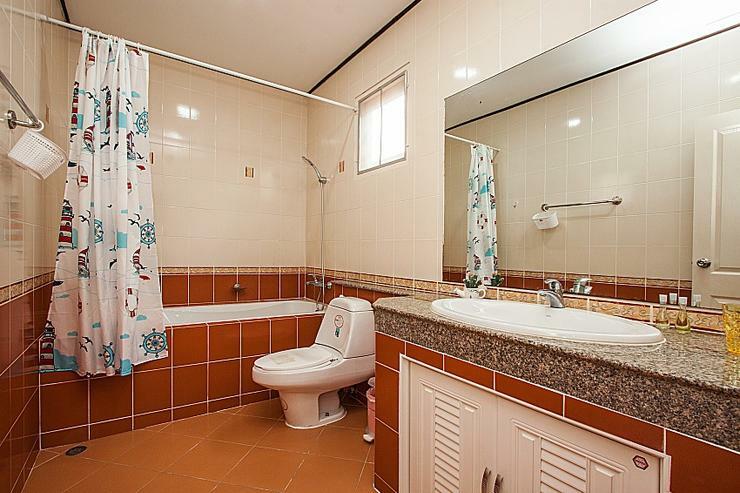 One bathroom is on the ground floor and the master bathroom and another one, which is shared, are upstairs. 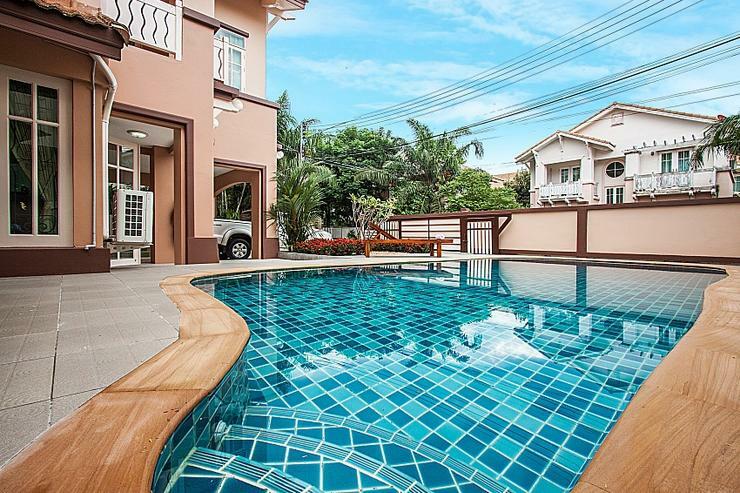 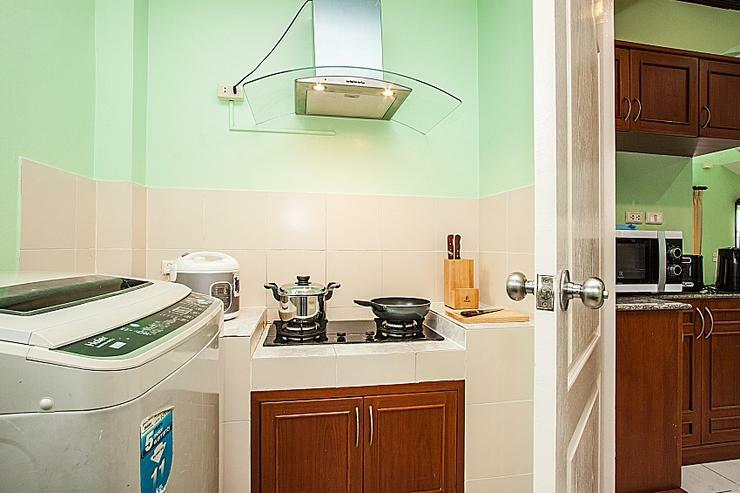 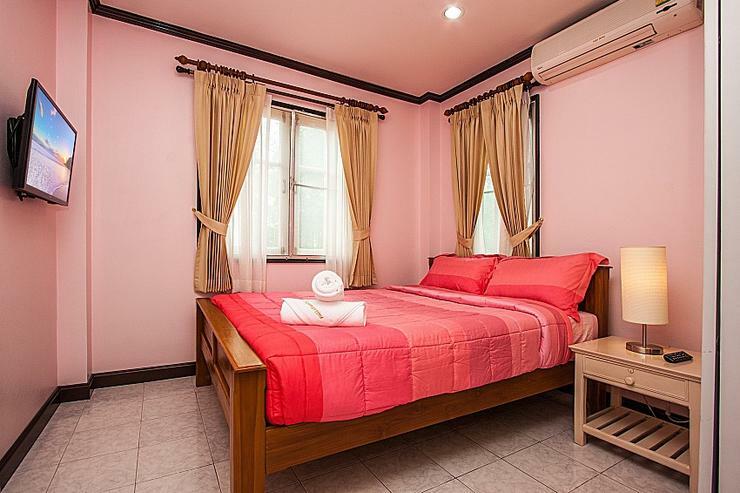 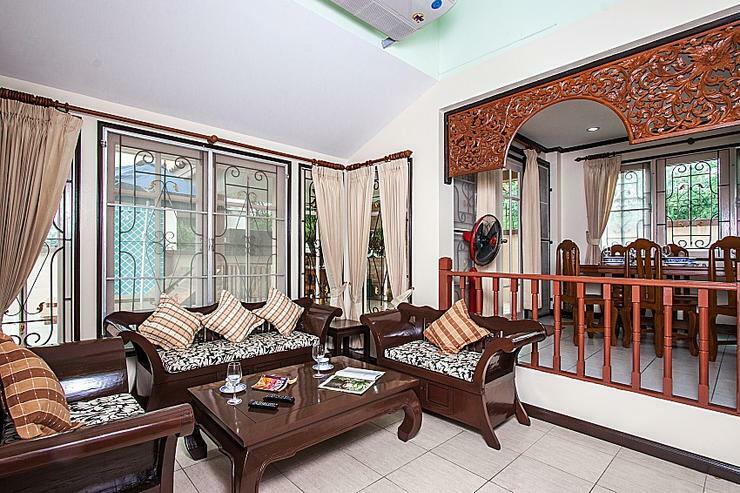 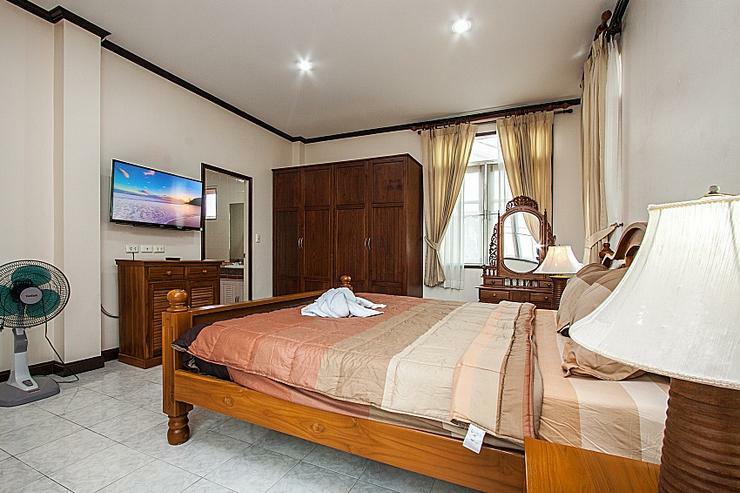 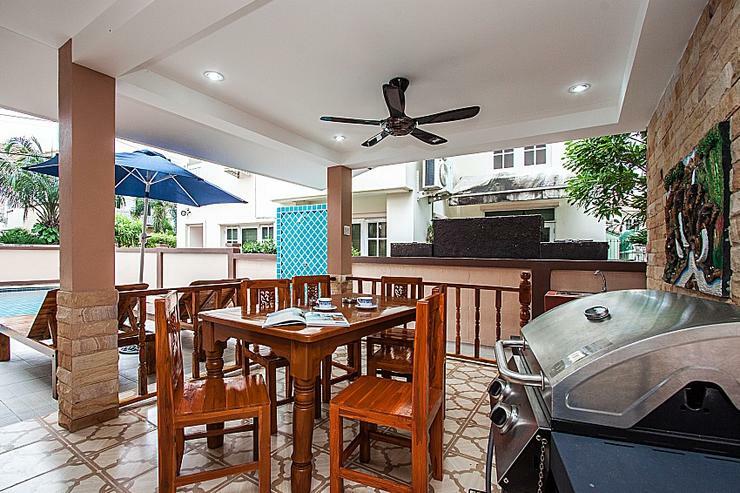 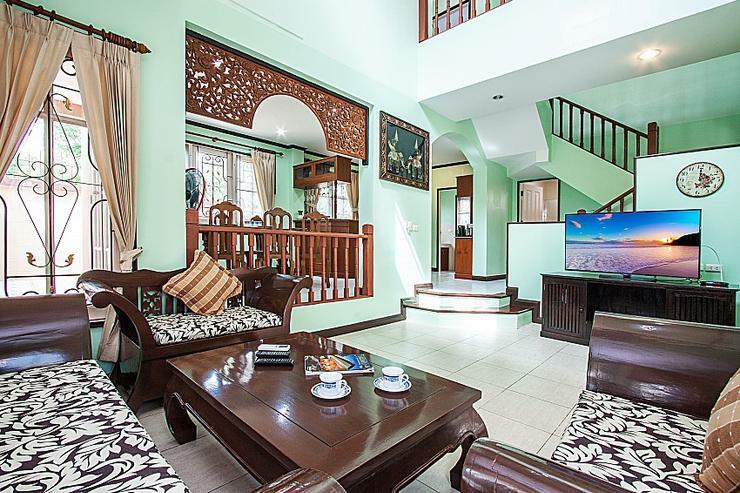 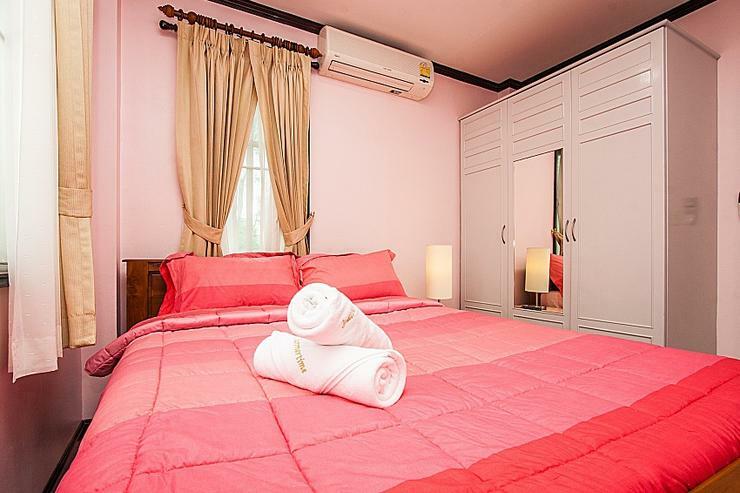 The location of this villa is a short 5-minute walk to Jomtien Beach, where you will also find many shops, bars and international restaurants. 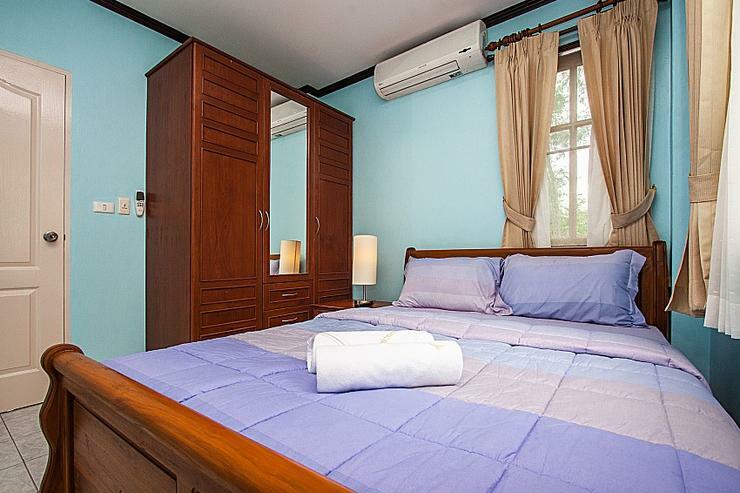 Pattaya Beach Road is a 10-minute drive away.